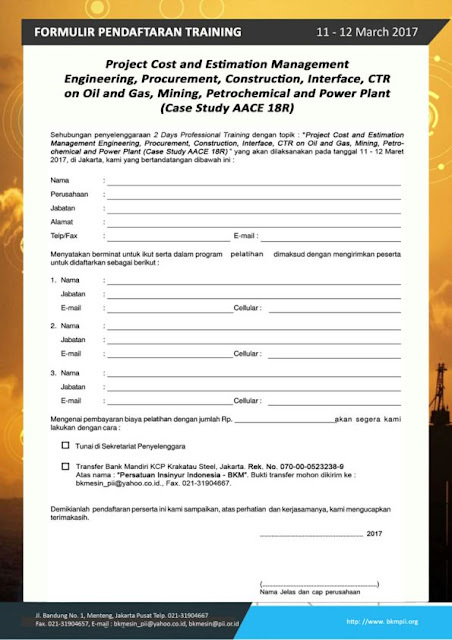 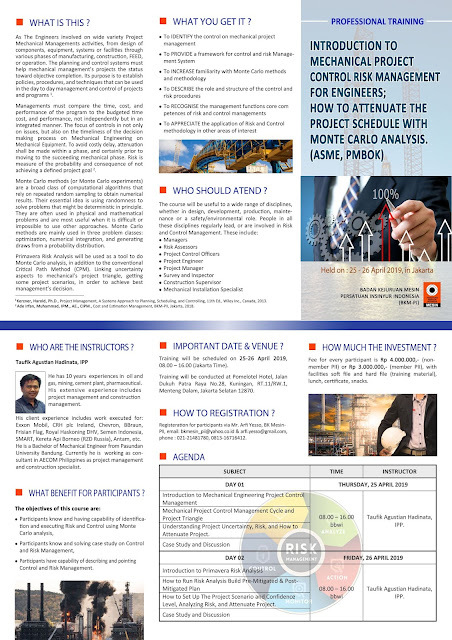 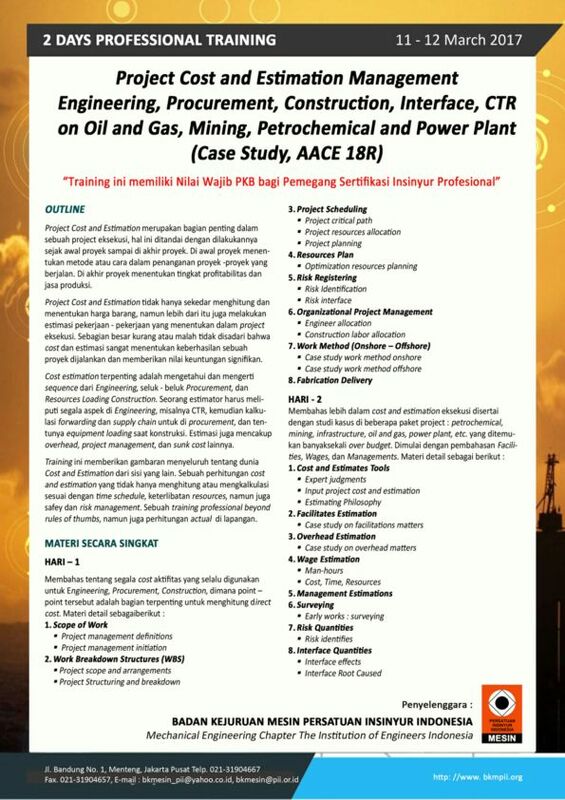 “Project Cost and Estimation Management Engineering, Procurement, Construction, Interface, CTR on Oil and Gas, Mining, Petrochemical and Power Plant (Case Study, AACE 18R)”. 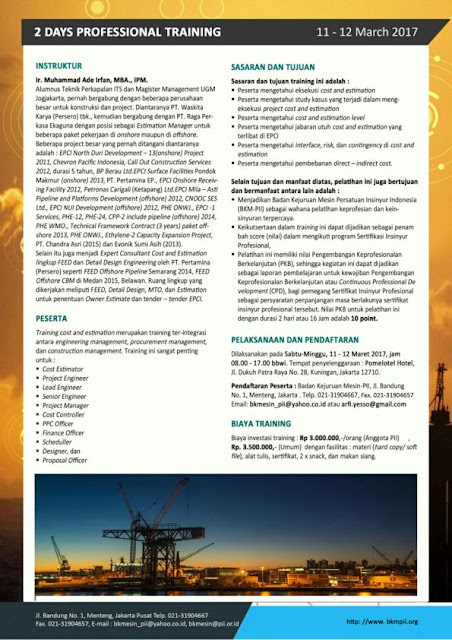 Dengan Instruktur: Ir. 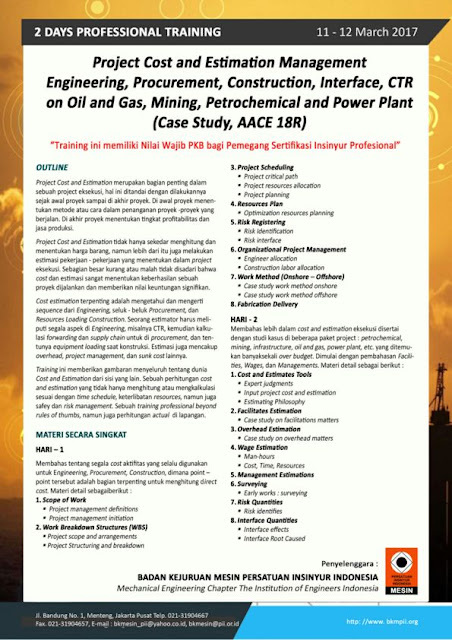 Muhammad Ade Irfan, MBA, IPM.